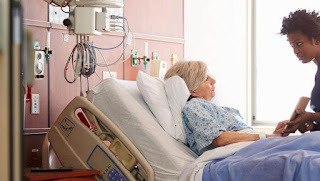 A Connecticut hospital significantly decreased surgical site infections associated with hysterectomies through the use of a multi-step prevention bundle, according to a study published in Obstetrics & Gynecology and Medscape report on the research. provision of direct feedback from peers to physicians and other staff when the protocol was breached. Hospital staff received education about the bundle prior to its implementation. During the 33-month study period, Yale New Haven Hospital in New Haven, Conn., performed 2,099 hysterectomies. There were 61 SSIs (4.51%) prior to implementation of the full bundle and 14 SSIs (1.87%) following implementation of the full bundle. According to the Medscape report, the authors concluded the following: "Although additional analyses are needed to further elucidate the relationships among adherence rates, specific bundle components, hysterectomy routes, length of hospital stay and [SSI] reduction and overall surgical costs, we believe that a multidisciplinary, gynecology-specific approach to implementation and maintenance of the SSI prevention bundle serves patients well and will become a mainstay of gynecologic surgical care."